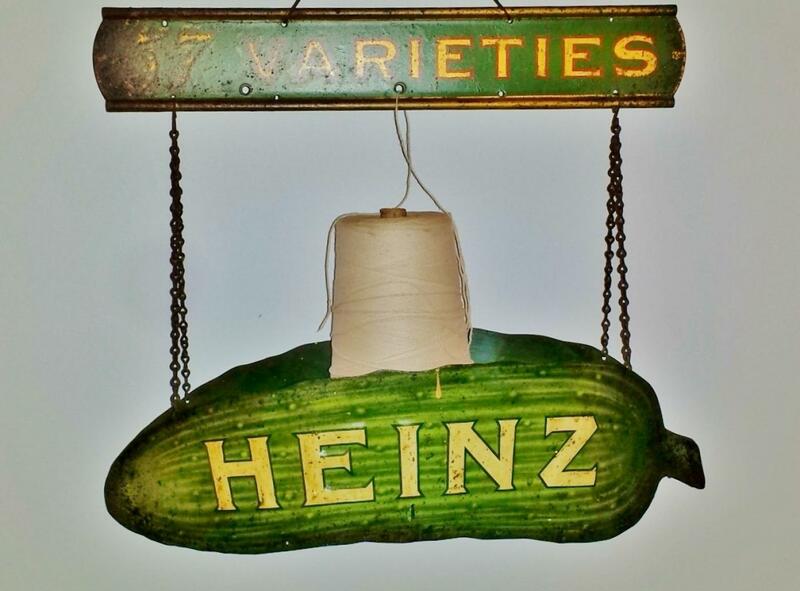 CHARLES WILSON, West Chester, PA. orvette@comcast.net 610-212-3704 Double sides heinz pickle string dispenser in original paint and original used condition. A rare form. Has original chains, circa 1890. 18” x 17” x 7”.